Do you suffer from deep lines and creases in your face? If so, then you may want to consider Radiesse®, a non-surgical, face contouring treatment that offers long-term results. Besides enhancing your cheek and jawline structures, and filling in any hollowness under your eyes, Radiesse can be used as a form of non-surgical rhinoplasty (nose surgery). Radiesse offers superior, immediate results that last. Whether you’re longing to reverse the common signs of aging or address a health issue that otherwise would require an invasive treatment, you have more options in looking and feeling better with Radiesse. Developed with safety and longevity in mind, Radiesse is a new generation injectable filler that offers superior versatility for both cosmetic and reconstructive use without surgery. 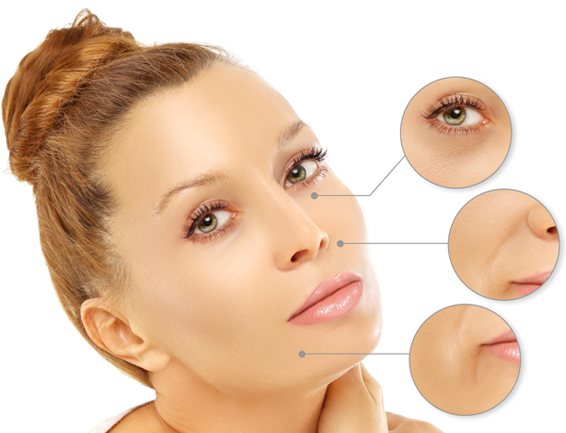 What sets Radiesse apart from other dermal fillers? The answer is in its durability, longevity, and versatility. The unique composition of Radiesse provides immediate visual improvement common with other fillers, along with the benefit of long-lasting results. This is because Radiesse is made of very tiny, smooth calcium hydroxylapatite (CaHA) microspheres. The microspheres (particles) form a scaffold through which your body’s own collagen grows, and this produces the desired long-term effect. These unique advantages make Radiesse the ideal choice for facial shaping and contouring — along with other therapeutic applications. These prominent aging lines running from the corner of the nose to the outer area of the lips can be more prominent in some people. Up until now, filler treatment for this area of the face was short-lived. Now, the nasolabial folds can be successfully treated with Radiesse injected into the deep dermis, with much longer lasting results. Published independent studies show that a typical treatment for nasolabial folds lasts approximately one year to 18 months, with an occasional touchup recommended. These lines at the corners of the mouth can make you look very serious, or sad, even when your face is at rest. Radiesse allows you to carefully augment these small lines with only local anesthesia - with immediate results. Published independent studies show that a typical treatment for marionette lines lasts approximately 9-12 months, with no recommended touchup prior to that time. A touch up will provide an even longer augmentation. Since skin loses elasticity over time and gravity pulls facial muscles downward, the jaw line is one of the most common facial areas where aging becomes apparent. Radiesse is an excellent choice to re-shape and contour the jaw line and chin. The result is a smoother, firmer jaw line that mirrors the younger-looking appearance of other facial areas treated with Radiesse. Do you want to improve the appearance of your nose without undergoing major rhinoplasty surgery? Or do you want to finesse the outcome of a previous nose surgery? Radiesse offers a quick, immediate, non-surgical, non-invasive procedure for nasal contouring that no other filler can provide. Commonly known as non-surgical rhinoplasty, Radiesse offers a unique composition that is extremely versatile and can build up the bridge of your nose, or camouflage a hump, (straightening your profile); balance an asymmetry, or correct defects and shape the nose tip. 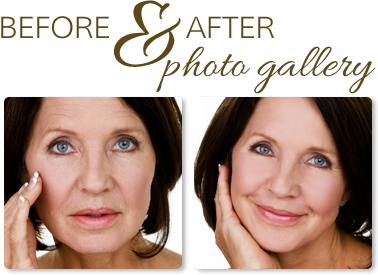 And with this injectable filler, patients don’t have to wait to see results — they are immediate and long-lasting. In fact, published independent studies show that a typical Radiesse treatment for non-surgical rhinoplasty or correcting post-rhinoplasty defects lasts approximately 18 months to two years, with an occasional touchup recommended.